In our previous blog, we discussed the importance of changing your lock when it’s broken. But we also explored the idea that some locks are more likely to break than others are. As your local Philadelphia locksmith, we fancy it’s our job to educate you about why we carry the brands that we do, and what sets us apart from other locksmiths. We don’t condone installing locks on people’s doors that are only going to break later. It’s better to give you a lock that works and not see you for years than it is to aid a robber getting into someone’s home. So whether you get the lock from us or somewhere else, we’ll always be here to help you find what suits your needs and your budget best. What Kind Of Lock Do You Want? Like everything else in the modern world, you’ll be faced with an almost unimaginably complicated variety when you go shopping for a lock. It’s easier to determine the features you’re looking for in the lock before you go looking than it is while you’re looking at rows and rows of options. Our advice? Always opt for a deadbolt. Yes, we know it’s easier simply to head to Home Depot or Lowes and shop for deadbolt options but we’d caution you against the easiest route as in this case, it’s really not the best route. These sorts of hardware stores are more geared toward people looking for home improvement solutions, not necessarily security solutions. You’ll certainly find an oiled bronze lock, but you probably won’t find one that’s as high of a quality as you need. You want to look for locks that will prevent lock bumping (one of the most common ways people break into a home). Plus, these popular stores will likely contain lock selections that use less metal than actual lock brand counterparts do. That means the lock won’t be able to withstand as much force as a better lock, which is obviously crucial for maintaining home security. Even if it’s not the best Philadelphia locksmith (Lockman), we would urge you to purchase your new deadbolt from an actual locksmith. They provide the best options for the best price and the metal content in every lock on their shelf alone will be more of a security boost than anything the Big Box stores have to offer. While variety can, at times, be intimidating, in respect to locks it’s likely better. 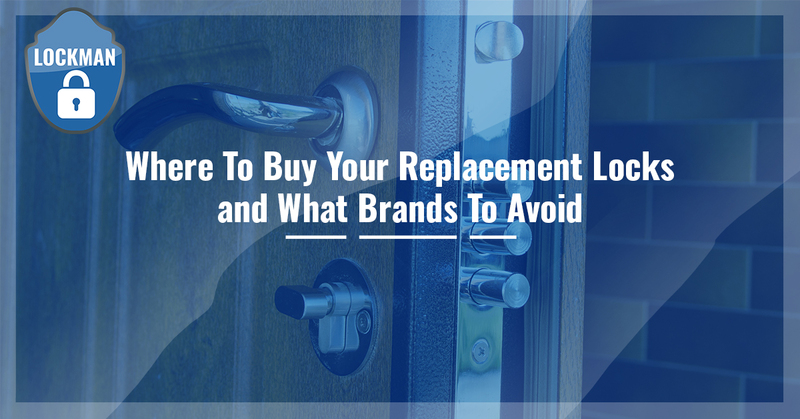 The more closely the lock you purchase is tailored to your type of door and other security factors the longer it’ll last and it’ll work better as well. What’s even better is your local locksmith will actually be able to help you install the locks properly. It won’t be a matter of your struggling with a fruitless DIY project. Lockman looks forward to helping you improve your security and make a difference in how safe you feel on a daily basis. We know Philadelphia is a big city and we don’t think you deserve to be intimidated in your home. Reach out to us and let us know how we can help improve or replace your current locks today.